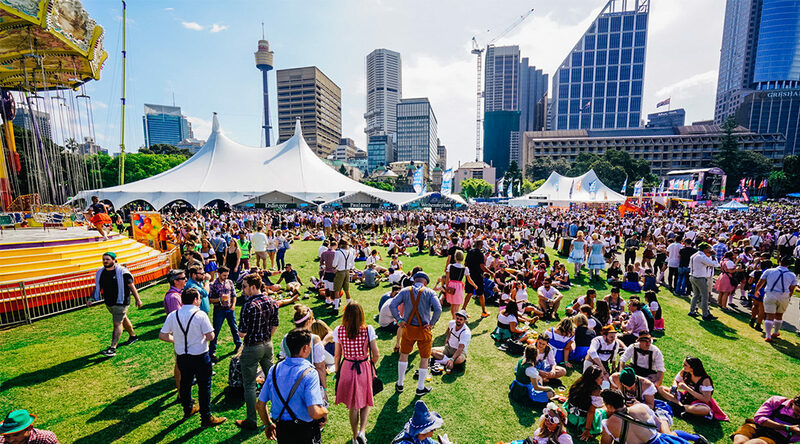 Now the weather is starting to warm up, why not escape and explore the City, Fremantle and the Hills and immerse yourself in these spring activities and events. Spring has sprung and with it has bought the dreaded time for all hay fever sufferers! But don’t let this stop you and your friends from heading out this Spring to explore the bursts of colour and excitement that has sprung into Perth. If you are like me, and love to discover and explore what Western Australia has to offer - check out these activities and events. I love discovering new art instalments, hidden places and local activities in and around Perth. So why not explore the City of Perth during their #springinthecity. You can visit the Spring Floral Canopy, Giant Kaleidoscope (Elizabeth Quay), art instalments underground music, master classes plus so much more. 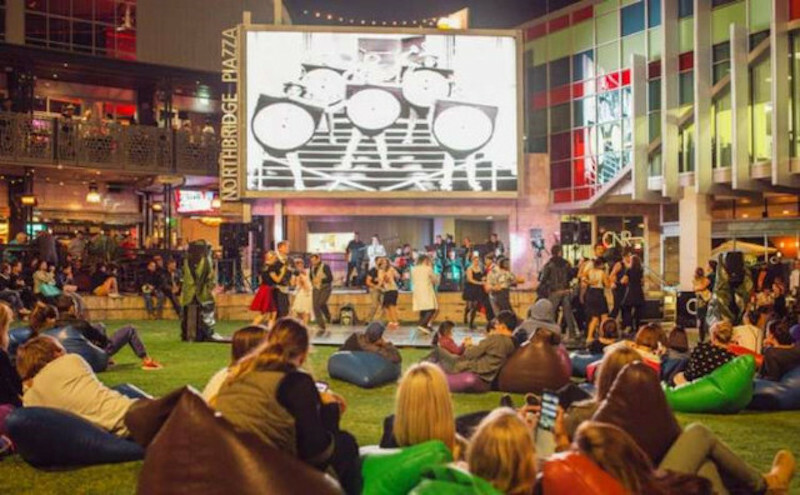 Have you ever walked past the Northbridge Piazza and thought what it would be like to watch your favourite movie in the hub of Northbridge? Well, for all movie lovers, this is now a reality as the warmer weather has arrived. Grab your churros and milkshake before finding a comfy spot in front of the big screen as it becomes home to array of FREE movies ranging from mid-week date night specials to children’s classics over weekends. Hands up who has never explored the Perth Hills? Well, I have found the perfect way to explore what the Perth Hills has to offer. Grab your keys and travel 30 minutes east to the Perth Hills Spring Festival. There is something for all ages to enjoy with FREE family fun events, plus something for food and wine lovers. Is it even possible to do a 360 degree spin and be surrounded by multiple cuisines in the one place? The answer is yes! Smell the mouth-watering aromas from gourmet Italian to the rich and colourful Asian cuisines. 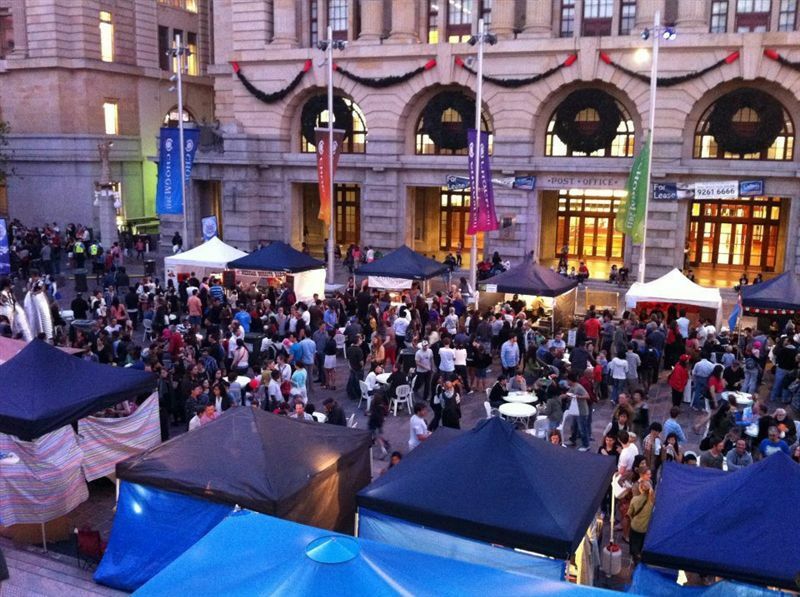 Join Perth’s largest Hawkers market as it returns to Forrest Place, Murray Street from the 20th of October to the 15th of December. Dinner is sorted! I don’t know about you but I love a good glass of wine. Starting from the 26th of October, the Esplanade Fremantle will host The Harbour Master Wine Dinner – where they will serve a three-course dinner accompanied by a wine to complement each dish. There are so many new things to explore at the fair and this one is no different. On the 29th of October, St Georges College will host its annual FREE community fair. The Spring Fair offers a range of stalls, entertainment and activities including, fresh produce, live music, tours and more. Don’t let hay fever season stop you from springing into these activities and events.